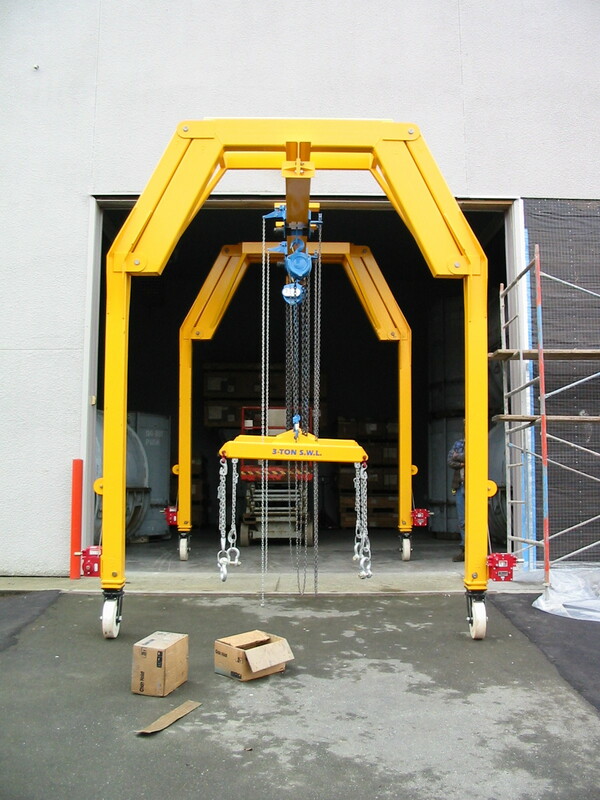 Gantry Cranes are similar to overhead bridge cranes, except that the bridge for carrying the trolley and hoist is rigidly supported on one or more legs. 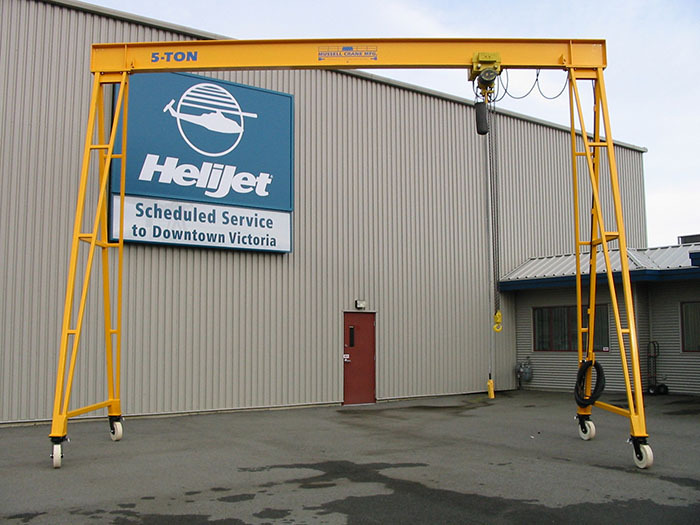 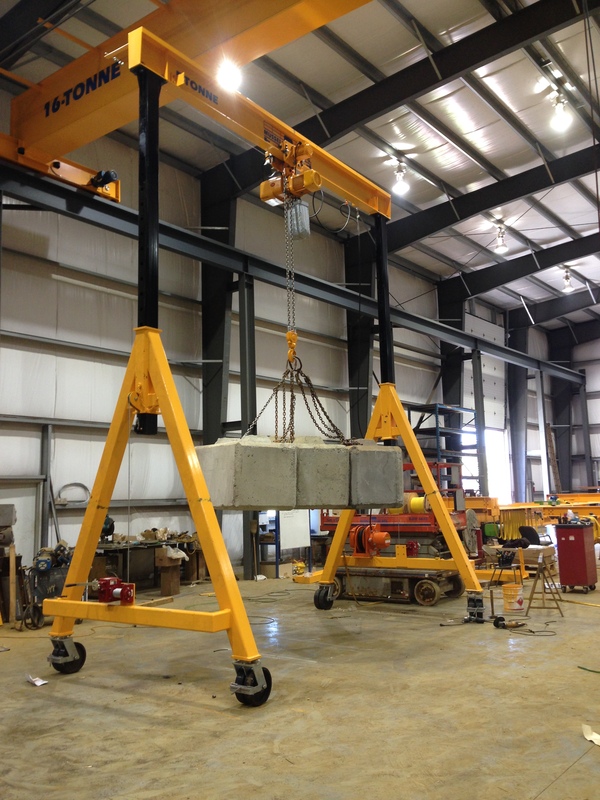 Our custom design cranes are available in a variety of styles and constructions. 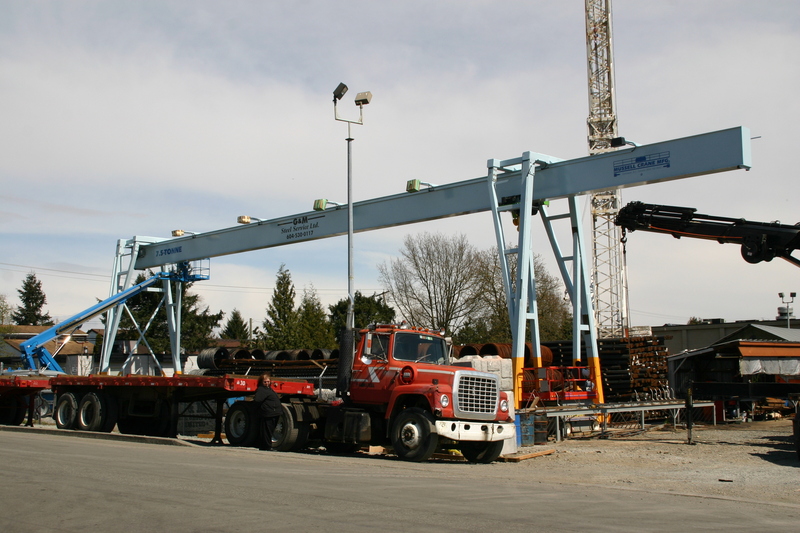 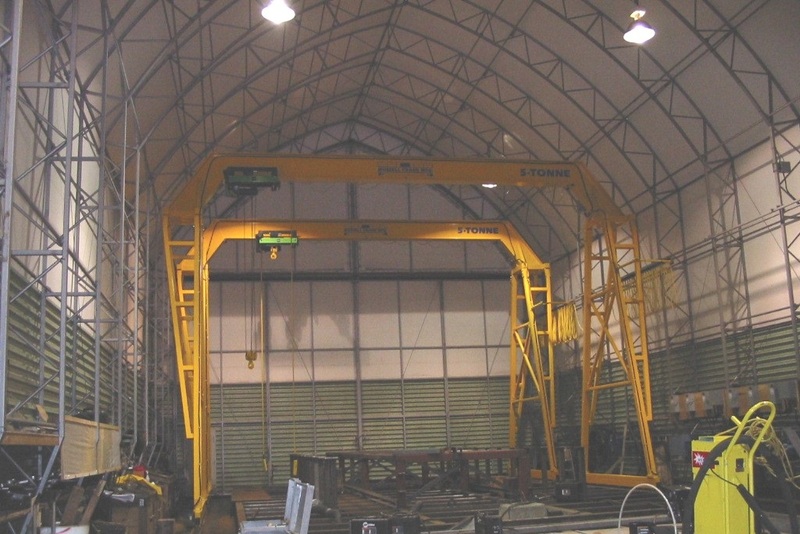 Gantry Cranes are ideal where you have lifting requirements in more than one location, your building construction will not support the loadings of a wall jib or overhead crane system, the amount of moving and lifting does not justify the expense of a permanently installed overhead crane system, and/or you rent or lease your facility, making permanently installed equipment impractical. 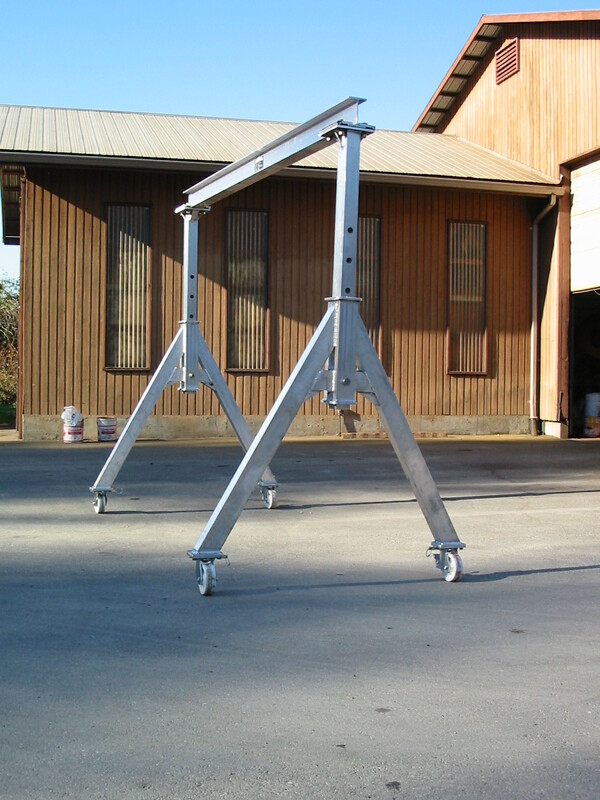 A-frame gantry cranes are commonly mounted on caster style wheels equipped with locking brakes, allowing you to utilize the convenient lifting power of a crane anywhere in your facility. 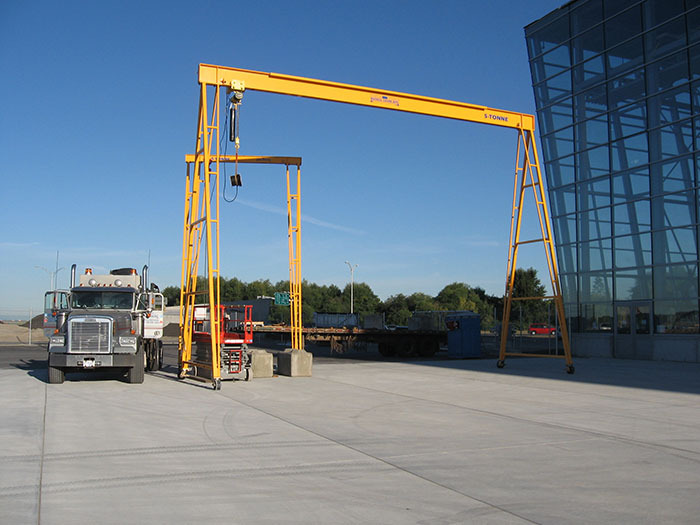 Adjustable height gantry cranes are convenient for facilities with multiple application requirements. 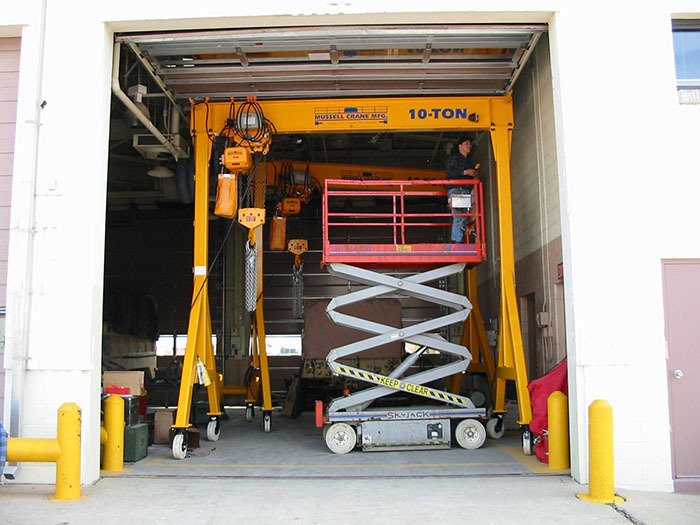 Adjustable height gantry cranes allow versatility for facilities with different ceiling clearances, or small bay door openings. 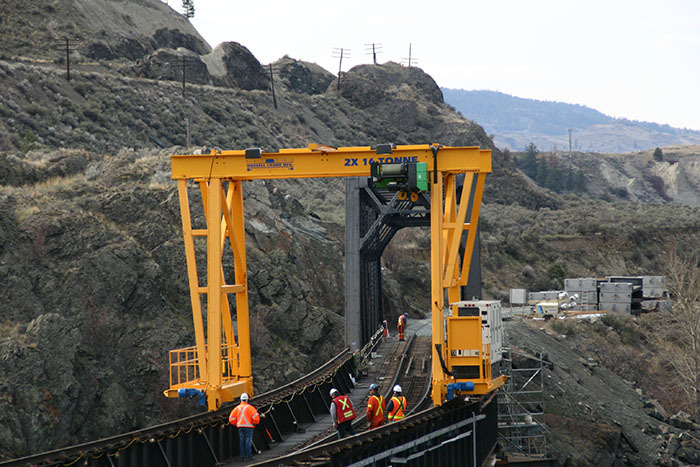 Rail mounted gantry cranes travel along a fixed-route via a rail mounted at ground-level.